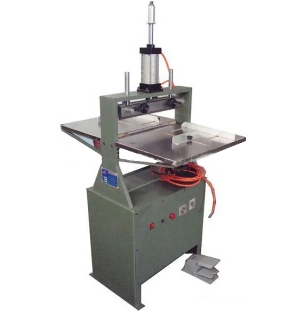 This machine is aim to round the back of book cover, it adopts pneumatic principle, and back-rounding mold has heating function, there are many different molds, and the mold can be customized according to the thickness of the spine. The design is simple and convenient, it assures to replace the different moulds quickly. The height, the pressure, the time and the temperature are all can be adjusted. Moreover, it can adopt different adjustment according to different types of book covers to achieve the best performance.